Worry no more! 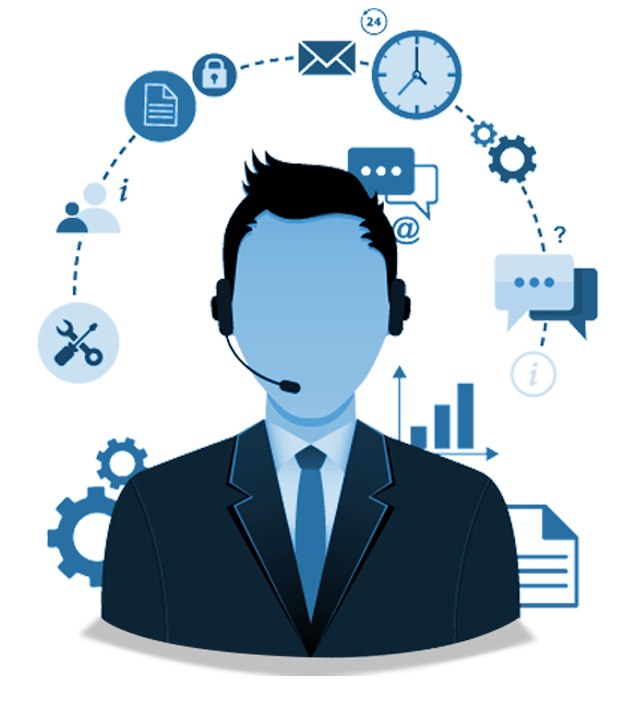 From simple break-fix to end-to-end support capabilities, our tech support team will help you from start to finish. Domain name is an identification string that defines a realm of administrative autonomy, authority or control within the Internet. Domain names are used to identify one or more IP addresses. For example, the domain name ubielife.com represents about a dozen IP addresses. Domain names are used in URLs to identify particular Web pages. For example, in the URL http://www.ubielife.com/technical-support/, the domain name is ubielife.com. A web hosting service is a type of Internet hosting service that allows individuals and organizations to make their website accessible via the World Wide Web. Web hosts are companies that provide space on a server owned or leased for use by clients, as well as providing Internet connectivity, typically in a data centre. Domain name and Hosting server are two requisites (must-haves) if you need a website. UBIELIFE provides full chain services to help you handle all the application, rental, deployment, and management works. We noticed that some of the business owners have already published an operational website online, but had a hard time on updating the website content, or upgrading the website and proceed further functional development to incorporate their growing business. UBIELIFE is willing to help by providing customized website maintenance and upgrading services. Contact us if there is anything we could do for you! Why do you have to maintain your App after it is published or distributed to the public? Publication isn’t the end of the story for your app. A couple of hundreds of downloads aren’t the end of the story, either. It’s the start! Your app is a living thing, and downloads aren’t enough. Along the way, most of your users or even you as the owner will encounter some bugs that need to be fixed ASAP for sure. And it’s gonna cost a lot of trouble (money and time) for your business if you didn’t pay any attention to fix it. We at UBIELIFE have experienced those problems before, and we know how to handle and fix it in no time! Whether it is on iOS or Android platforms, that’s not gonna be a problem. We can work on cross-platform applications. If you need our help, feel free to call us. All Rights Reserved 2016 © UBIELIFE Inc.